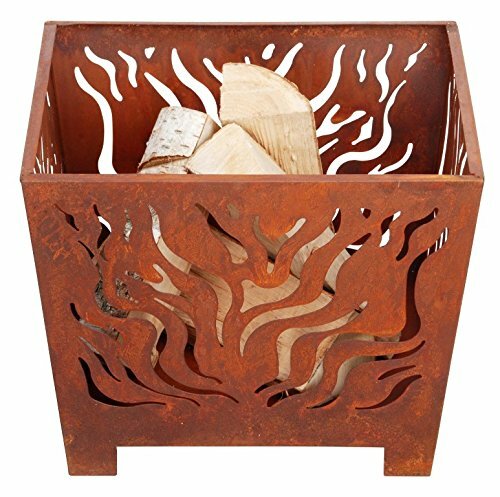 Sturdy, stylish and affordable, our Timberline Fire Pit features a cutout forest design backed with wire mesh. You'll enjoy the warmth of your fire and the light show as the fire lights up the design. A domed spark guard with handle contains flying embers. 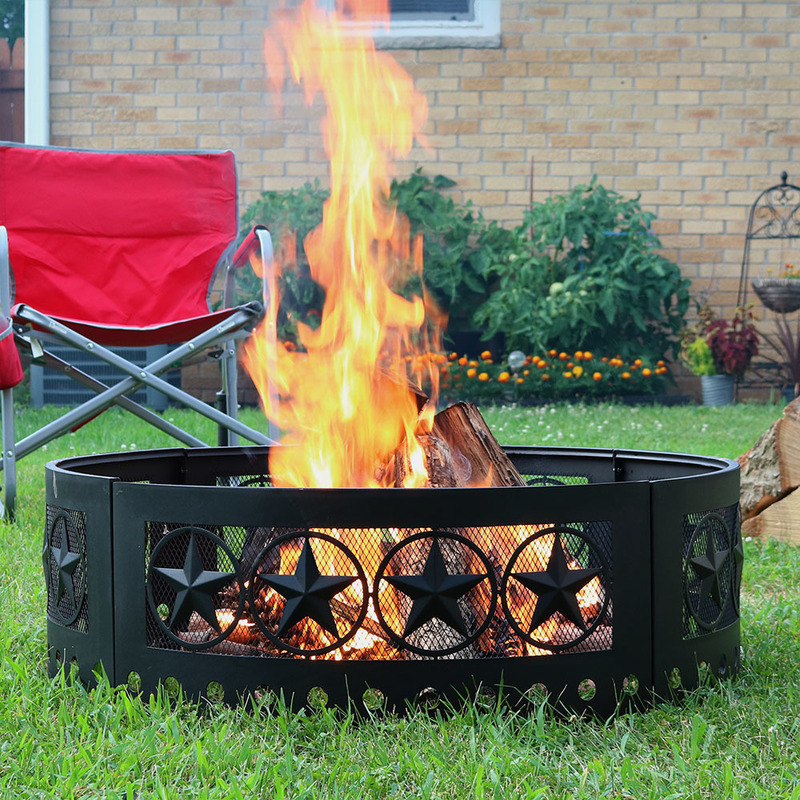 Steel fire pit has a durable finish and comes with a poker. 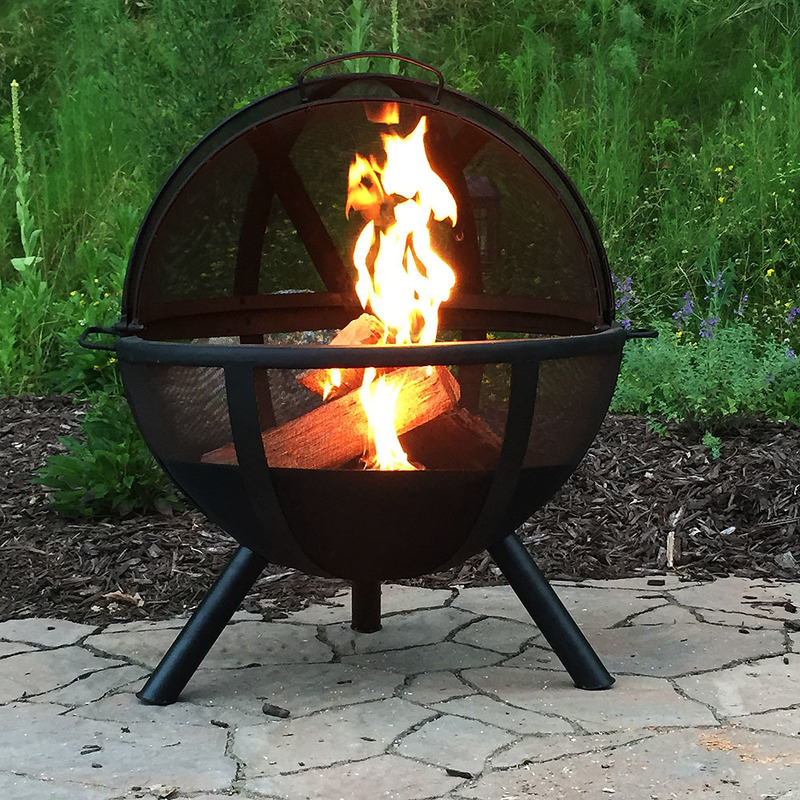 Sphere Fire Pit with Cover - 30"
Add a unique ball of fire to any outdoor space, only safer with this modernly designed fire pit! 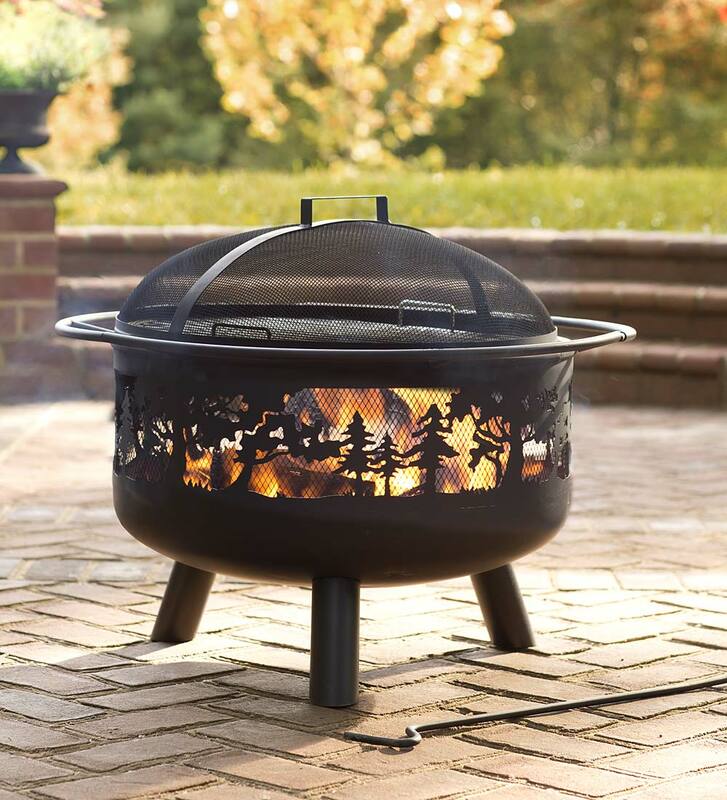 The fire pit has handles on the side to make it easily portable and it easily glides open with help from a larger front handle. Plus, it is made from a durable metal, and metal mesh material and features a contemporary X-design that looks great and adds stability to the fire pit. The fire pit is finished with a high-temperature black paint finish for ultimate durability. It comes with a 200D PVC cover, a 16" poker and a 16.5" firewood grate. Plus, the ash fire bowl tray has handles so it is easy to lift out, remove ashes and clean.